I posted some pictures yesterday, that i took of Rijks Spyker. 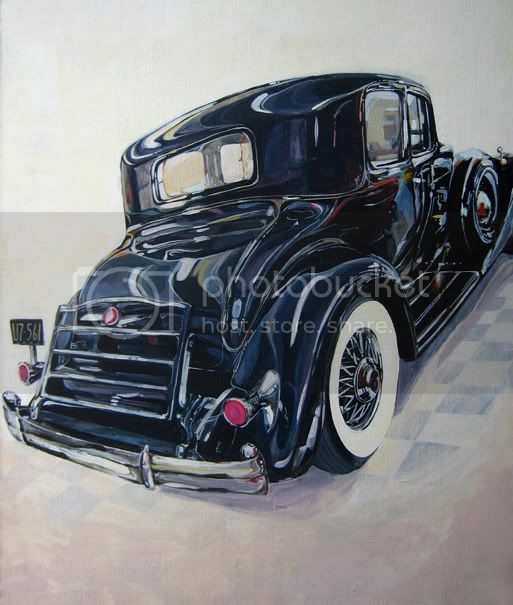 I plan painting a portrait of his car, like i have done in the past for other car enthusiasts. I have been painting cars for over 16 years. My paintings range in size but the average is somewhere around 11 x 14 to 16 x 20. The largest I ever did was for Chuck, a collector (only yesterday classic autos inc in San Diego CA. I did a 18 x 3 foot mural for him in his show room). 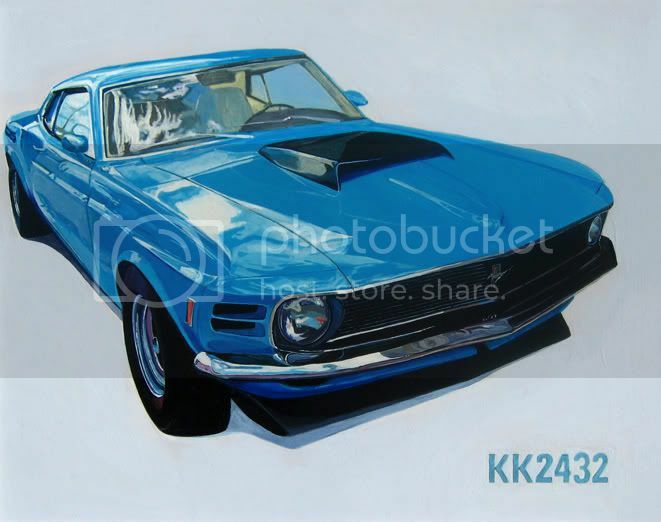 I have painted everything from cars that would drive Ms. Daisy to Gone in 60 Seconds. It's great fun, meeting car enthusiasts. I am a real detail freak and a perfectionist, when it comes to my paintings. So what could be better, I love finding beauty in all cars, so long as it had a touch of chrome and some sort of wicked reflection. I am probably as crazy about your car as you are. Below are a few recent paintings I have done. 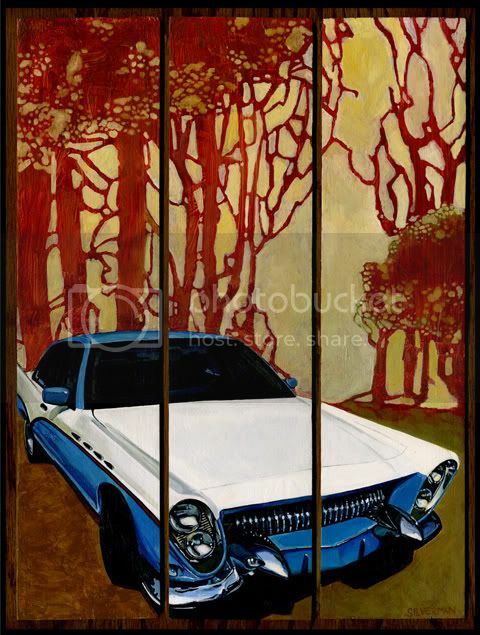 The triptych blue (custom) car is one of my latest, Stevie's car. The blue Mustang was for a guy, Gino Who has many mustangs. I am supposed to paint two more for him in the weeks to come. That's why taking pictures of the Spyker was so awesome, cause it's made to perfection. Very detailed and exquisite. I'm looking forward to painting it. 1st one is my favorite. Impressive work, Gas. Myself do more photography, including automotive. I would love to see your work sometime, Throttleman! 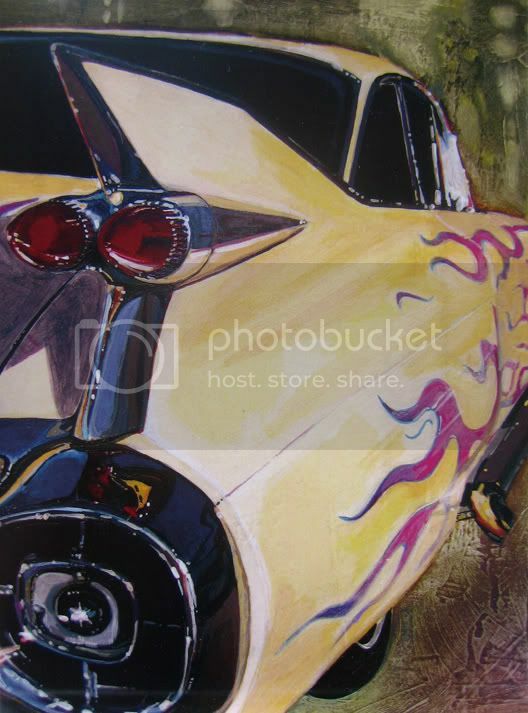 I really enjoy watching people's car paintings and drawings, maybe even more so than (more accurate) pictures. Please keep sharing your work with us!